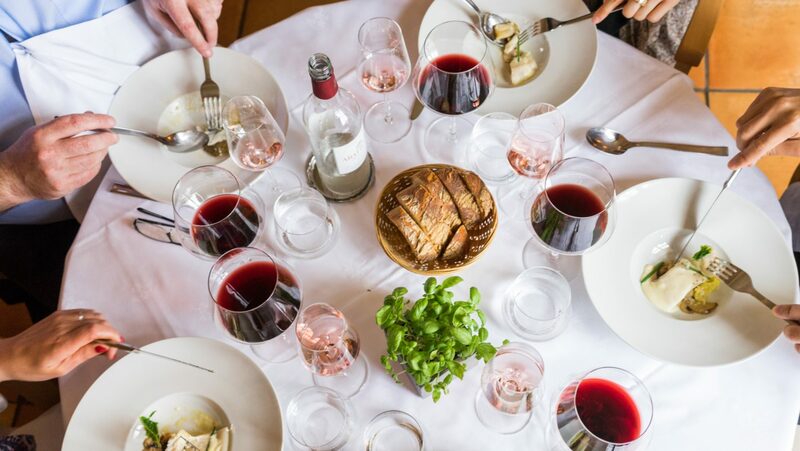 With its diverse, high-quality terroirs, Bordeaux is a region that yields a broad range of wines, from outstanding collectible bottles to everyday drinking wines, celebratory sparklers, and sweet dessert sippers. While best known for its red wine blends made from Merlot, Cabernet Sauvignon, and Cabernet Franc, Bordeaux also produces dry white wine blends made primarily from the Sauvignon Blanc and Sémillon varieties—and some with small amounts of Muscadelle and Sauvignon Gris. These dry whites have grown popular among U.S. consumers, so much so that the U.S. is now the largest export market for Bordeaux’s dry whites. 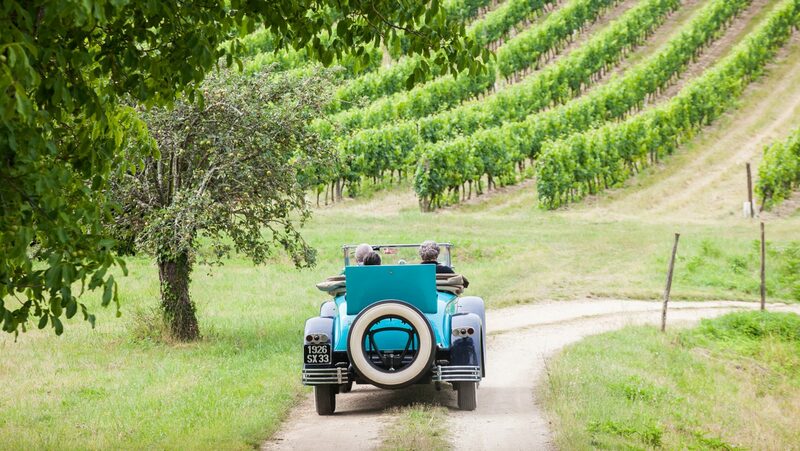 Photo courtesy of Vins de Bordeaux. Bordeaux, as a whole, is France’s largest appellation d’origine côntrolée (AOC) area, though it’s not the country’s largest winegrowing area. It makes up 25 percent of France’s AOC vineyard area but accounts for only 14 percent of the country’s total vineyard area. Although Bordeaux is famous for its 1855 classification, only 5 percent of the vineyard area is devoted to the production of cru classés. 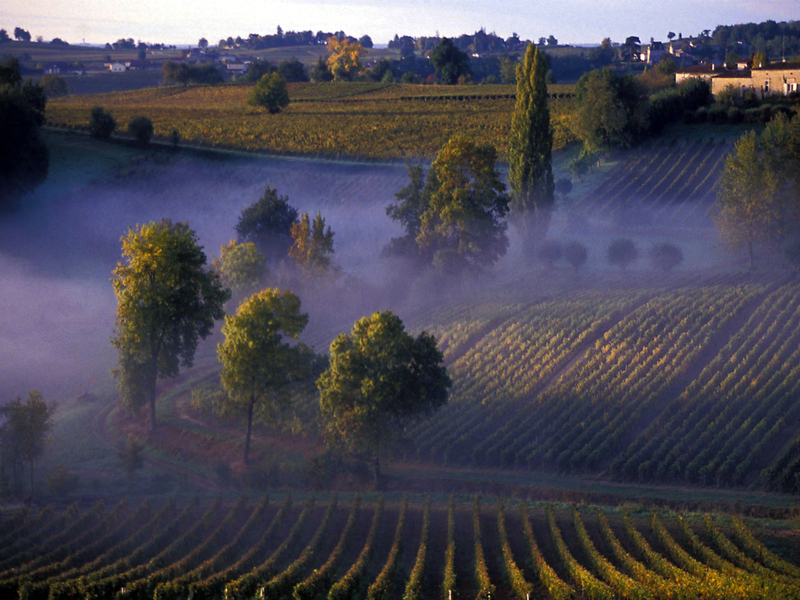 Vineyards in Bordeaux are typically associated with estates, or châteaux, rather than plots of land, as in Burgundy. There are approximately 6,300 winegrowers in Bordeaux (half of what there was 20 years ago). 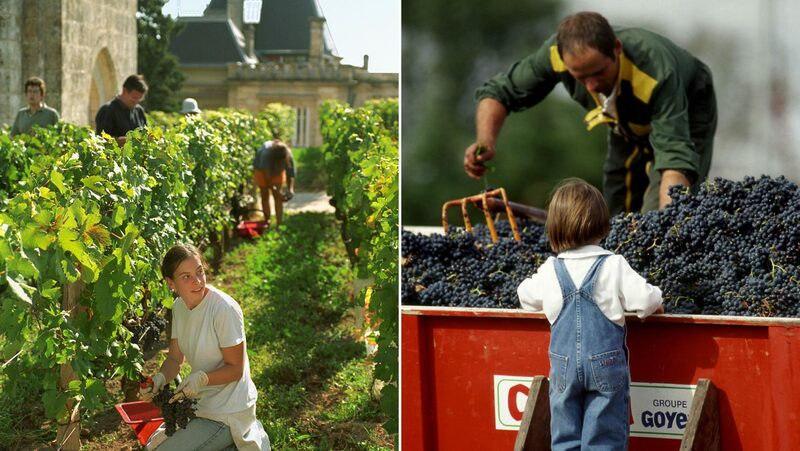 The average size of a Bordeaux wine estate is 17.6 hectares of vines, and nearly 60 percent of the region’s estates are still owned and run by families. Additionally, there are 300 Maisons de Négoce, which sell more than two-thirds of Bordeaux’s wine across 170 countries. 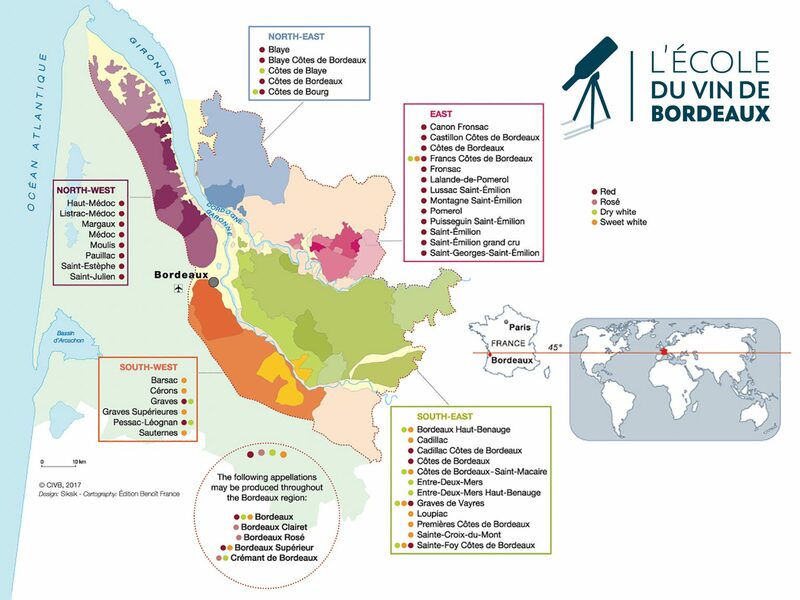 Bordeaux has 33 regional wine cooperatives and three cooperative unions. There are also 82 wine brokers that facilitate transactions between négociants and the estates. On average, Bordeaux produces 59 million cases of wine per vintage. Red wines typically make up 85 percent of the total volume production. 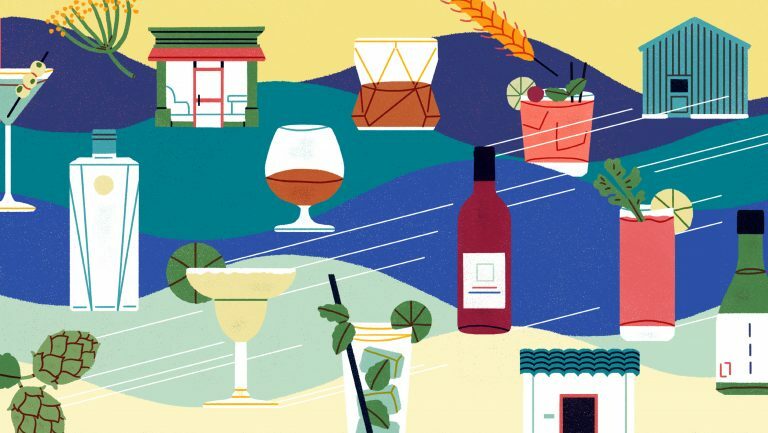 Dry whites and Crémant de Bordeaux account for 10 percent; rosés, clairets, and Crémant de Bordeaux rosés make up 4 percent; and sweet Bordeaux whites account for 1 percent of total volume. 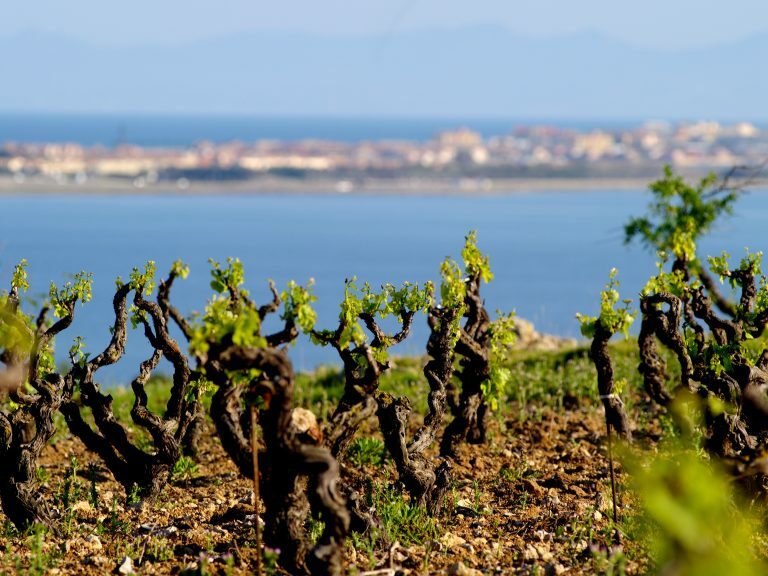 Bordeaux’s variable weather patterns can make the growing season unpredictable. Part of the reason that Bordeaux winegrowers are experts at the art of blending—rather than masters of varietal wines—is that blending enables them to manage climatic inconsistencies and their impact on the ripening, quality, and quantity of the individual varieties. Located along the 45th parallel in southwest France, Bordeaux stretches over more than 130 kilometers from north to south and has 111,000 hectares under vine. At its widest point, it extends more than 75 kilometers. Its northernmost vineyards are located near the town of Saint-Vivien-de-Médoc, while its southernmost vineyards are in Graves. The region is mostly flat, though a bit hilly in some places, with the highest altitudes reaching about 100 meters on the Right Bank. Rich alluvial soil is found along the rivers. 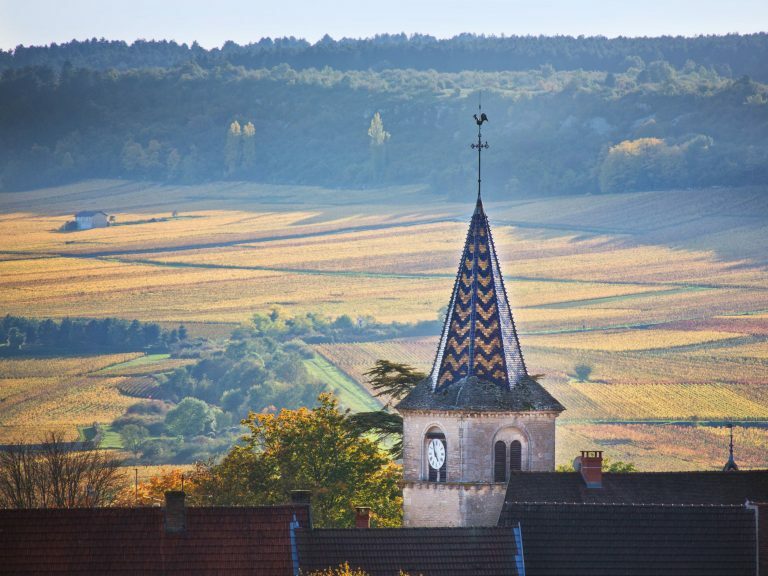 With geologically diverse soils made of siliceous alluvial deposits and gravelly-sandy soil on a limestone platform, Bordeaux is gifted with an ideal terroir for growing vines that yield fine wines with markedly different characters. On the Left Bank, river stones, gravel, and sand deposited by the Garonne River form a highly permeable soil that retains heat and allows for optimum ripening of Cabernet Sauvignon for Médoc and northern Graves wines. On the Right Bank, there are varying proportions of clay, limestone, sand, and gravel, offering cool, well-drained soils where Merlot typically thrives for wines like those from Saint-Émilion and Pomerol. Bordeaux has a maritime climate that is moderated by the region’s proximity to the Atlantic Ocean, the Gulf Stream, the rivers Dordogne and Garonne, and the Gironde Estuary. It experiences cool winters, mild and damp springs, hot summers, and long hours of sunshine during the fall. Diurnal temperatures remain fairly consistent. 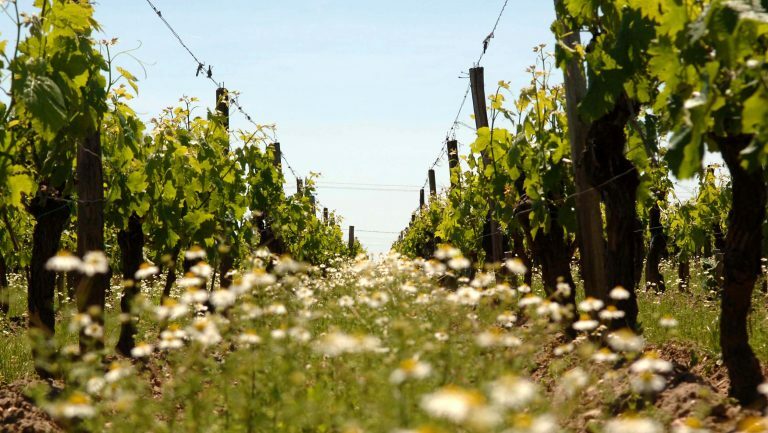 The region rarely has severe spring frosts or extremely cold winters, but variable rainfall can affect vintage quality by interrupting the flowering process, reducing yields, and inviting fungal diseases. Coastal pine forests and sand dunes offer protection from Atlantic winds, but the ocean and rivers contribute to high humidity in the region, which encourages both noble and gray rot. The earliest known record of Bordeaux’s wine history dates to the beginning of the medieval era, when Ausonius, a Latin poet, wrote about growing wine in the area in AD 379, though it’s possible that wine was being cultivated in Bordeaux for some time before. Bordeaux reaped significant export benefits in 1152, when Eleanor of Aquitaine married Henry Plantagenet, who became king of England two years later. As a result, the region was able to establish a monopoly in the sale and distribution of Bordeaux wines to England. 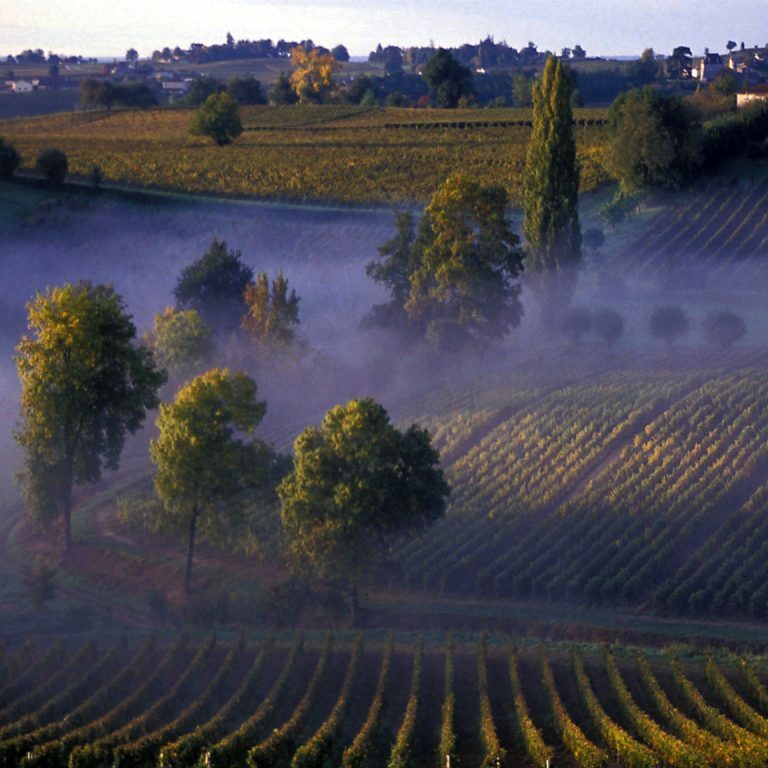 By 1200, vineyards were flourishing in the areas of Blaye, Bourg, Fronsac, Saint-Émilion, Graves, and the Garonne Valley. Trade was later halted between France and England during the Hundred Years’ War. In 1475, Louis XI authorized the return of British ships to Bordeaux’s port, but trade between the two countries never returned to its prewar levels of prosperity. During the 17th century, the Dutch emerged as dominant trade partners and buyers. They brought innovations, such as barrel sterilization, that helped conserve and improve the transport of Bordeaux wines to export markets throughout northern Europe and the Mediterranean. The Dutch were also responsible for draining the marshes in the Médoc in the mid-17th-century, ultimately leading to the cultivation of the region’s most notable vineyards. Between 1875 and 1892, however, phylloxera devastated the region, decimating Bordeaux’s vineyards. Once Bordeaux scions could be grafted onto American rootstock that could resist phylloxera, the work of restoring the vineyards began. Despite periods of natural setbacks (downy mildew) and man-made ones (two World Wars), Bordeaux was eventually able to revive its international reputation, and it continues to command prestige today for wines produced in the region’s superior terroir. In 2007, Bordeaux was designated a World Heritage Site by UNESCO. Bordeaux’s red wines are typically blends of Merlot, Cabernet Sauvignon, and Cabernet Franc, with Petit Verdot, Malbec, and Carménère playing supportive roles. The region’s white wines may include Sauvignon Blanc, Sémillon, and Muscadelle, among others. These varieties and more are also used in the region’s rosé, clairet, sparkling, and sweet wines. In 2016, Bordeaux produced nearly 5.8 million hectoliters of wine—the equivalent of 769 million bottles. Red varieties accounted for 88 percent of the planted area; whites made up the remaining 12 percent. The most widely planted variety in Bordeaux, Merlot accounts for 66 percent of the region’s plantings. Its name is derived from the French word for blackbird, merle, because its color resembles the blue-black hue of the bird’s feathers. Merlot is the offspring of Cabernet Franc and Magdeleine Noire des Charentes. It typically provides a supple characteristic, deep color, and notes of plum and fig to Bordeaux blends. At 22.5 percent, Cabernet Sauvignon is not the most widely planted variety in Bordeaux, but it is the region’s star grape, providing structure, fine-grained tannins, deep color, and aromatic black currant, licorice, and mint notes to Bordeaux blends—and it offers great potential for aging. This classic variety is descended from Cabernet Franc and Sauvignon Blanc. Despite its reputation for being the most important grape in Bordeaux, it didn’t start making an impact until the late 18th century, when Médoc wines made their way into the limelight. This variety thrives, in particular, in the gravelly, rocky soils of the Médoc and Graves appellations. Approximately 9.5 percent of Bordeaux’s vineyards are planted with Cabernet Franc (often called Bouchet locally), which happens to be the oldest variety in the region. An early-ripening grape, it’s lighter in color and tannin than Cabernet Sauvignon. However, Cabernet Franc’s elegant tannins, along with its copious polyphenols and complex, fruit-forward aromatics, make it an excellent blending partner for Cabernet Sauvignon and Merlot. Cabernet Franc adds freshness, finesse, and raspberry and violet notes to Bordeaux blends. This grape is best known for its role in Sauternes sweet wine blends, in particular for its propensity to attract Botrytis cineria, or noble rot. But it’s also a key ingredient in dry white Bordeaux blends, such as those from Graves and Pessac-Léognan. Sémillon is a classic blending partner with Sauvignon Blanc in Bordeaux, providing weight, roundness, and richness while Sauvignon Blanc gives strong aromas and a boost of acidity. It is a grape with good aging potential; its regional flavor profile includes apricot, green apple, citrus, floral, and honey notes. Sémillon makes up 47 percent of Bordeaux’s white variety plantings. Known for its grassy aromatics, Sauvignon Blanc is the go-to blending partner for Sémillon in dry Bordeaux whites. In addition to its herbaceous notes, Sauvignon Blanc contributes high acidity, minerality, and zest to blends—and it offers good aging potential. This variety also plays a supporting role in the luscious sweet wines of Sauternes. White variety plantings in Bordeaux are 45 percent Sauvignon Blanc. This highly aromatic grape complements Sémillon and Sauvignon Blanc in both sweet and dry white blends in Bordeaux. Muscadelle is an early-ripening yet fragile grape known for its intensely floral aromas. Despite its similar name, Muscadelle is not related to the Muscat variety; rather, it descends from Gouais Blanc. Just 6 percent of white variety plantings in Bordeaux are Muscadelle. A number of other varieties are grown in Bordeaux, including Malbec, Petit Verdot, Carménère, Sauvignon Gris, Colombard, Merlot Blanc, Chenin Blanc, Mauzac, and Ugni Blanc. Bordeaux wines are almost exclusively blended wines. 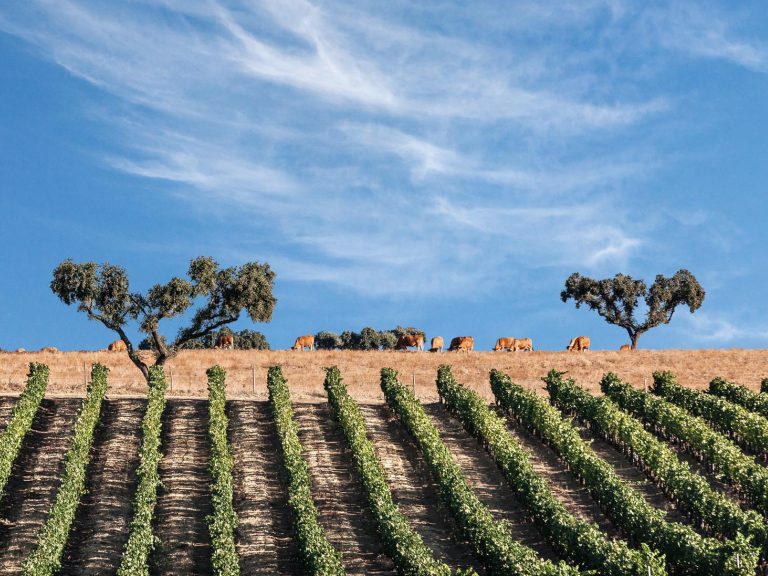 They are outwardly modern and vibrant, yet they’re firmly anchored in their terroir and authenticity, with styles that range from fresh, fruity, and ready-to-drink to mature, structured, and elegant, with a great deal of complexity. Bordeaux, Bordeaux Supérieur, and Côtes de Bordeaux are typically Merlot-based blends that are light to medium in body. They display bright color, red fruit on the nose, and the classic balance of alcohol, acidity, and tannin. These wines can be enjoyed young and present great value. Blends from Saint-Émilion, Pomerol, Fronsac, and their satellite appellations are predominantly made from Merlot, with Cabernet Franc as the main supporting grape. These wines tend to be medium- to full-bodied, displaying deep color, firm structure, and distinctive velvety texture. They can be enjoyed young or they can be aged to bring out their full complexity. In the renowned Médoc and Graves appellations, the blends are dominated by Cabernet Sauvignon and distinguished by black currant aromas, firm, fine-grained tannins, and medium to high acidity. Médoc and Graves are home to some of Bordeaux’s most long-lived and legendary wines. Bordeaux’s dry white blends are known for their vibrancy and crisp acidity. There are two general styles. One is a refreshing, un-oaked, and fruity style intended for early drinking. The other is characterized by a firm structure, complexity, and elegance; this style can be enjoyed young or aged. The region’s sweet white blends are made from botrytis-affected grapes, predominantly Sémillon. These medium-to-full-bodied wines are produced in a small part of southern Bordeaux, mainly in Sauternes and Barsac. What’s Happening in Bordeaux Today? Bordeaux is developing a strong reputation for its more affordable wines, which are ideal for casual as well as special occasions. In fact, 90 percent of Bordeaux wine production is sold below €20 ex-cellar. The reds are increasingly supple, showing delicious purity of fruit. Typically made using less oak, these wines are intended for early to medium-term consumption. 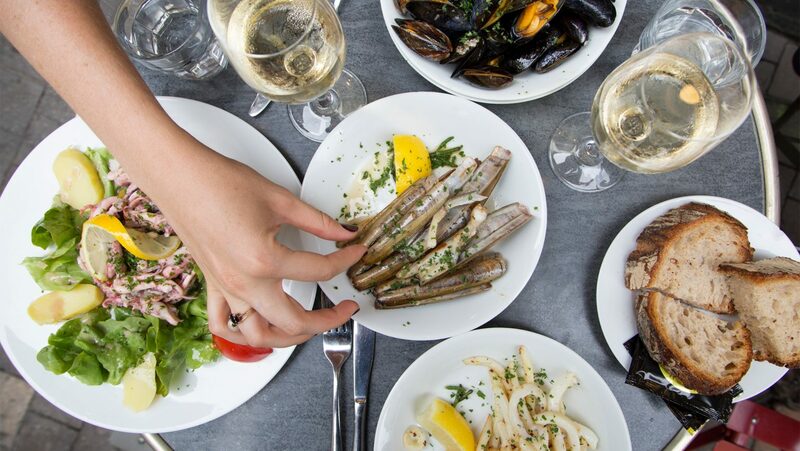 Bordeaux’s spectrum of red, white, rosé, clairet, crémant, and sweet wines can be enjoyed with classic food pairings like roasted meats, shellfish, patés, cheeses, charcuterie, and foie gras, but they also go exceptionally well with less traditional pairings, such as burgers, Thai barbecue, Indian butter chicken, sushi, and Spanish tapas. In 2016, Bordeaux sold 4.73 million hectoliters (about 630 million bottles) for a total of €3.65 billion. 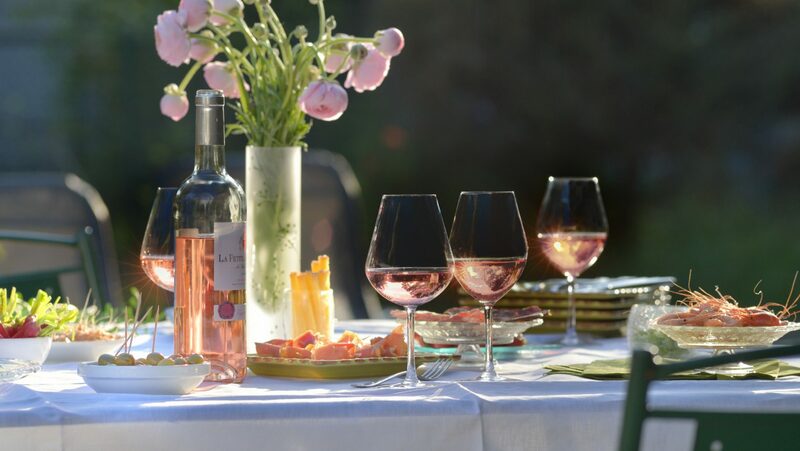 Approximately 58 percent of the region’s wine volume is sold in France; the other 42 percent is exported, with about 35 percent going to European countries and 65 percent going to non-EU countries, such as those in Asia (43 percent) and North America (12 percent). The U.S. has become a significant market—in 2016 it was Bordeaux’s third largest export market in terms of volume and value, and its number one export market for white Bordeaux. 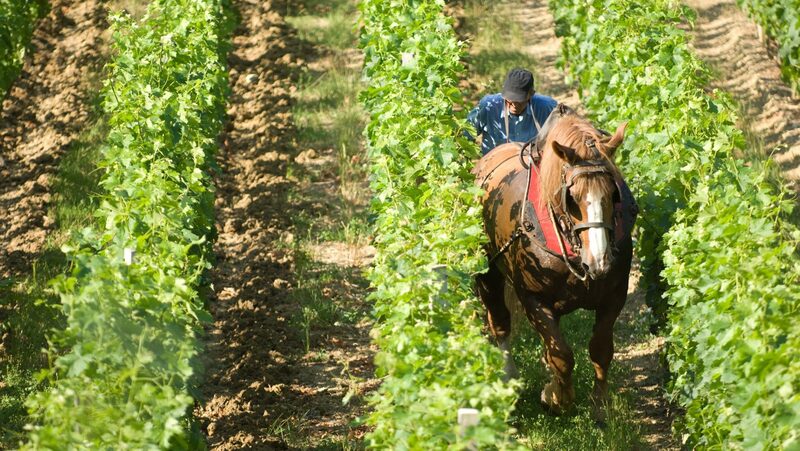 The Bordeaux wine industry has also fostered a commitment to sustainable winegrowing practices for more than 20 years. Today, 7 percent of Bordeaux’s vineyards are certified organic, but initiatives to promote a holistic practice of sustainable development within the industry are becoming more standard. More than 55 percent of Bordeaux vineyards are moving to adopt environmentally friendly methods of operation, such as reducing waste, greenhouse gas emissions, water consumption, and the use of pesticides while increasing waste recycling, improving wastewater treatment, and refining the energy performance of winegrowing estates. 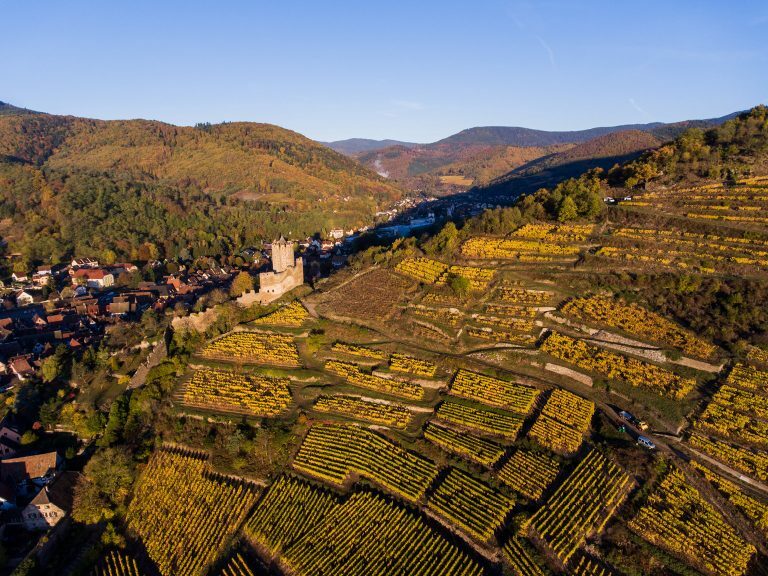 Protecting local biodiversity is also an important focus, resulting in efforts to place grass coverage in vineyards and create sustainable places of refuge for fauna and flora. The wines are being promoted around the world by the Bordeaux Wine Council (CIVB) and its partners through innovative tourism offerings and Bordeaux-themed wine bars, pop-ups, and festivals, as well as at trade fairs, cooking demonstrations, gallery openings, blind-tasting “battles,” and even vintage fashion shows. The Bordeaux Wine School is another key asset in the promotion of awareness of the region’s wines and knowledge about them. It provides training and workshops to beverage professionals, wine enthusiasts, and anyone else who wants to learn more about the region, with course offerings in 19 countries. The school has developed a mobile learning app called OenoBordeaux that is specially designed to help wine retailers and sales professionals improve their knowledge of the Bordeaux region, stay abreast of trends, and gain access to information that will be useful day to day in the field. To learn more about the programs offered, visit the Bordeaux Wine School’s website. From affordable everyday wines to collectible red blends, today’s Bordeaux offers a breadth of styles—and price points—that attract wine drinkers at every level.